For Audio (airplay based) distributions, the Licensed Music User (bar, restaurant, shop, radio station etc.) 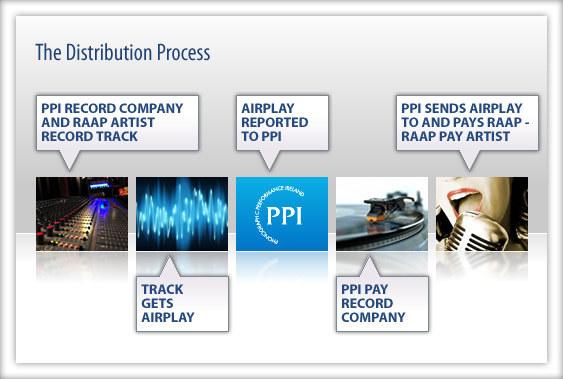 pays PPI, this goes into the audio pot (less operation costs), then you follow ‘The Distribution Process’ diagram below. Music video is based on actual video usage and income from the TV station.